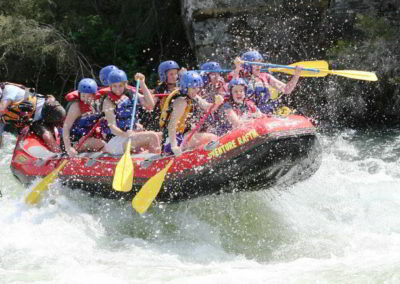 the best summer rafting ! There’s an enormous volume of water coming from Dartmouth dam. 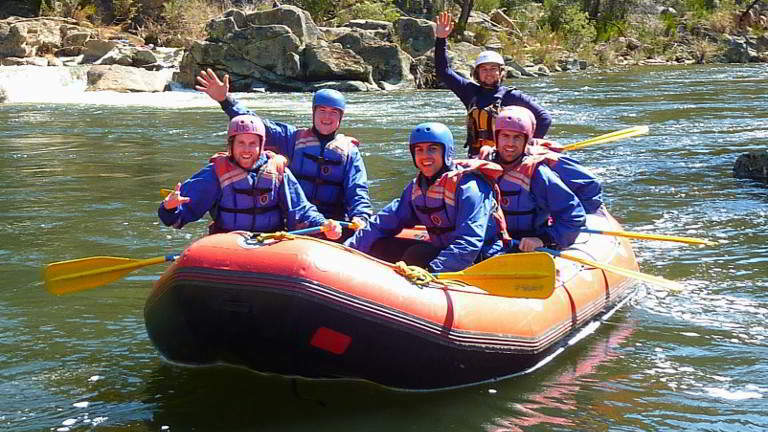 This river section provides the best summer rafting in Southern Australia with the longest grade 4 rapid commercially available in Victoria. With enormous volume of water being pumped out of Dartmouth dam to create a deep fast flowing river with big waves giving conditions similar to the rivers of New Zealand and Canada. 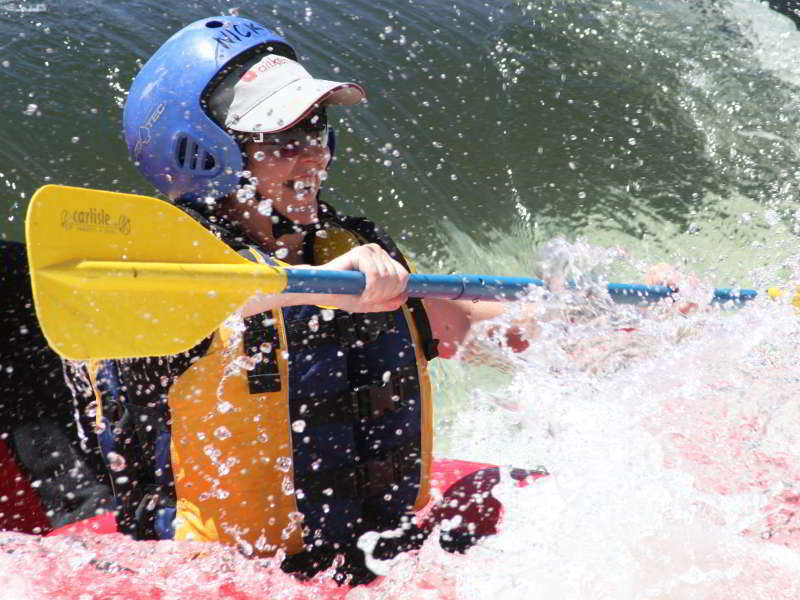 You’ll tackle The Weir, Rollercoaster, Sharks tooth part 1,2 & 3, Raft Eater and many more. Sharks Tooth being the most challenging rapid at 350 meters long with waves up to 2.5 meters high with a vertical drop of 6 meters. 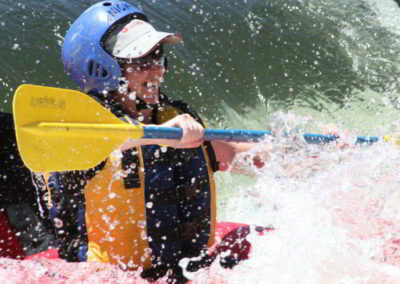 You will be on a whitewater high. Between rapids our guides will entertain and challenge you with fun water activities, the chance to take the plunge from a 6 or 2 meter cliff jump and swim in the pristine pools. All preparation for this fantastic summer journey are taught to you on the morning of your trip by our experienced guides to make sure you are thoroughly prepared for your descent. River shuttles, equipment, guides and lunch are all catered for, just bring your sense of adventure for the great outdoors and come along on a trip not to be forgotten this summer. 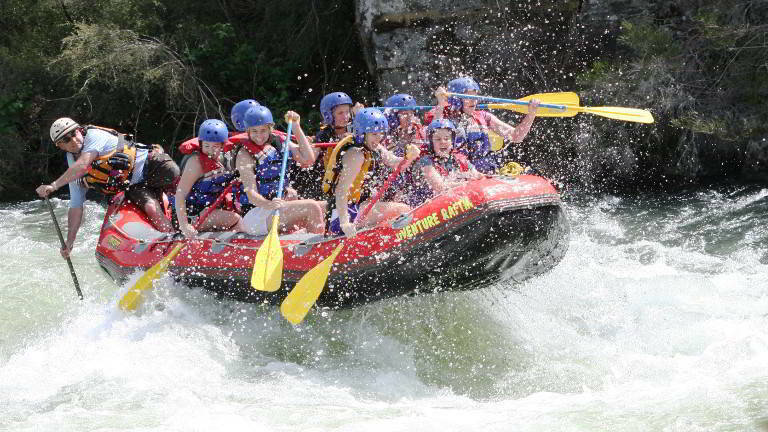 High volume big boat sharks tooth river rafting. 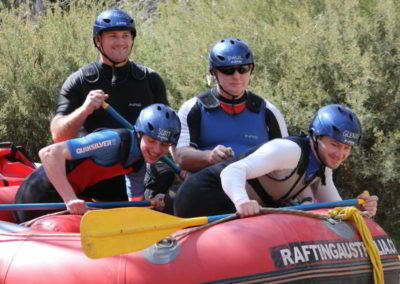 Technical sports rafting on the Snowy Gorge. 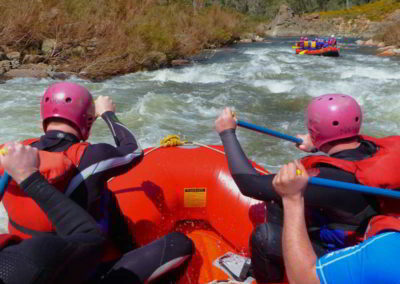 Or the ever escalating challenges of sports rafting on the Lower Mitta Mitta River which includes the class 4 decents of sharks tooth part 1 to 3 and corkscrew rapids. 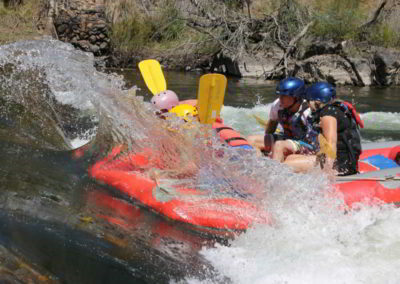 This river will provide its own adrenalin rush, awesome scenery and a taste of Australian wildlife. 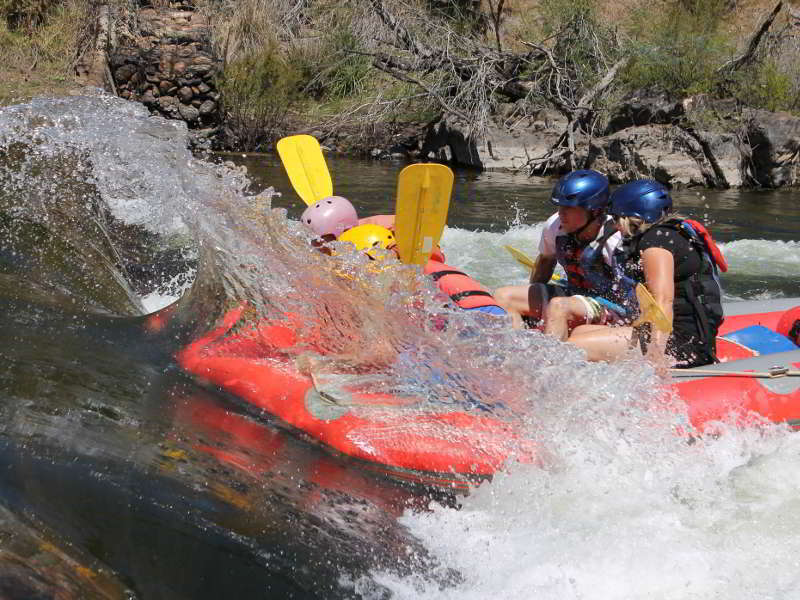 If you tackle big boat Mitta Mitta rafting, sharks tooth, roller coaster the weir and a 7m rock jump will fuel a rafting addiction. The personal challenge of the Snowy Gorge tackling over 40 rapids including, zig zag, Snowy drop and coming to terms with the Terminator. 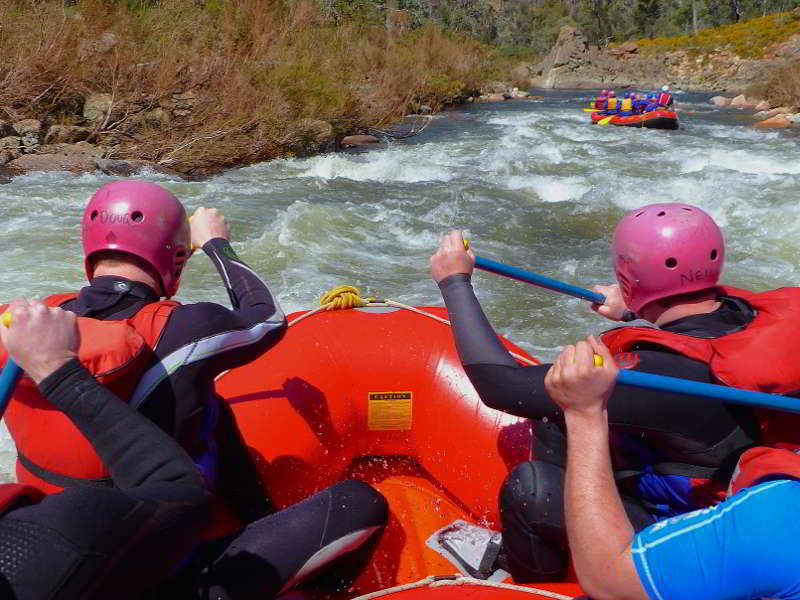 Or Sports rafting the awesome technical rapids of the Mitta Mitta, where each rapid increases in intensity as you descend the river with the highlights being your descent of Shark tooth part 1 to 3 and the biggest challenge “corkscrew” at the end of the day. Trust us this is nothing like opening a bottle of wine!! 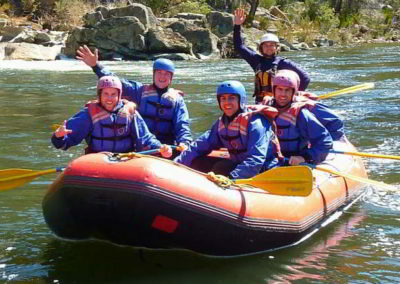 Or double the fun by challenging yourself to the Mitta Mitta Snowy Gorge double shot and take on 2 sections over 2 fun-filled days. We Guarantee you’ll get Wet. Availability Every weekend or mid-week by request. All trips are subject to min number of 4 participants. Grade 2 to 4, suits novice to experienced, children from 30kg and over. 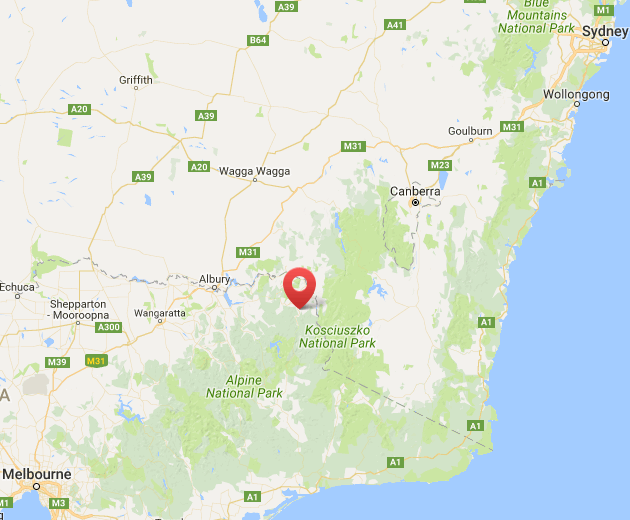 Location Lower Mitta river near Mitta Mitta township, 50min from Albury. Meeting Point Mitta Mitta township, at the rotunda in the park next to the pub. Time The day starts at 10:30 AM meeting in the Mitta Mitta Township, we are on the river after an early lunch and generally finish around 4:30 PM.